How Far is Vazhraa Pushpak? Destined in one of the most sought after residential space of Nizampet, Hyderabad is an upcoming meticulous project, Vazhraa Pushpak developed by the top real estate company in Hyderabad, Vazhraa Nirmaan. If you have ever wished to live in a house which is modish and stylish, full of comfort and bliss, Vazhraa Pushpak serves you just the right housing solution in its magnificent apartments for sale in Nizampet. It offers you compact and spacious 2BHK apartments with well - planned floor plan which offers you maximum utilization space and more spacious rooms, as well as 3BHK apartments for sale in Hyderabad. These apartments are well - equipped with top-notch amenities and fittings, making your stay at Vazhraa Nirmaan, very comfortable and peaceful. The project is comprised of thoughtfully crafted homes, and each floor in these buildings give you the best view from each of the apartment. To experience a contemporary lifestyle be a part of this gemstone by Vazhraa Nirmaan, it will surely leave you awestruck with its creative infrastructure, which has no other match in the industry with a perfect balance of elegance and comfort. Be a proud owner of a home in Vazhraa Nirmaan and bring happiness to you and your family. 6" External wall and 4.5" internal wall with quality Fly Ash bricks in cement mortar. Internal : Smooth plastered surface treated with lappam / putty and painted with emulsion. External : Sand finished plaster surface with weather proof paint of approved make. Painting : All doors of one coat primer one coat of putty and 2 coats of Enamel paint. All Rooms : 2'02' vitrified tiles of standard make. Toilets/Balconies : Anti skid ceramic tiles for toilets and balconies. Main Door : Teak wood door frame and shutter aesthetically designed with melamine polish, fitted with good quality hardware and locking system of reputed make. Other Doors : Teak wood frame with good quality waterproof flush shutter with quality hardware and lock. Windows : UPVC Frames with coloured glass. Cooking platform of Granite and Stainless steel sink with both drinking and bore water connection & provision for exhaust chimney. Adequate water supply for all flats with over head tank and under ground sump. Kitchen : Glazed ceramic tile dado upto 2' height above kitchen platform. Toilet : Class designer wall tile dado upto 7' height of quality makes. Utility/Wash : Glazed ceramic tile dado upto 3' height. Wash basin of standard make. EWC with flush tank of standard make. Provision for Geyser & Exhaust fan. All CP fittings of standard make. 3 Phase power supply for each individual flat. PVC Piping of Sudhakar or equivalent makes. Concealed copper wiring of standard make. AC points for all Bed rooms. Power points for cooking range, chimney, microwave, refrigerator, mixer, grinder in kitchen and Geyser point in Toilets. Modular switches of standard make. Lift of standard make as per design / Approval. Generator power for lifts, bore wells, common area lighting and 1KVA capacity for each flat. Adequate car parking is available. Club house of built-up area equivalent to 3% of the total residential area as per HMDA norms. 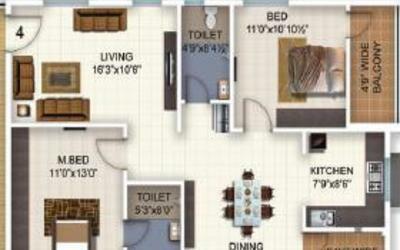 Vazhraa Nirmaan is a renowned real estate builder in our country. It strives to provide excellent quality and outstanding service to their customers. By building innovative and unmatched quality housing, the group has made its mark in the real estate industry. 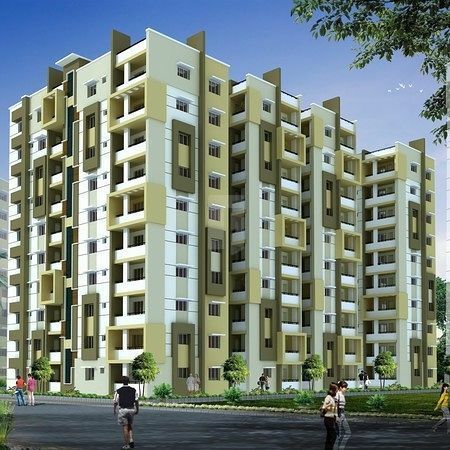 Their projects are comprised of Vazhraa Pushpak in Nizampet, and it offers you 2BHK & 3BHK apartments for sale in Hyderabad, as well as Vihhari in Manikonda and it offers you 2BHK & 3BHK apartments for sale. Vazhraa Nirmaan is real estate developers with presence in india. The Group is currently developing Pushpak project at Hyderabad, to be the company of first choice in the Infrastructure Industry. Vazhraa Nirmaan is distinguished by its highest quality construction, prime location, aesthetic appeal, functional design and optimum use of space where every apartment is a result of meticulous planning, incorporating best practices, adhering to a structured quality manual.